I always have people asking for ideas for cute but cheap Christmas gifts. You know when you want to give something small to show you are thinking of someone but you don’t want to break the bank? 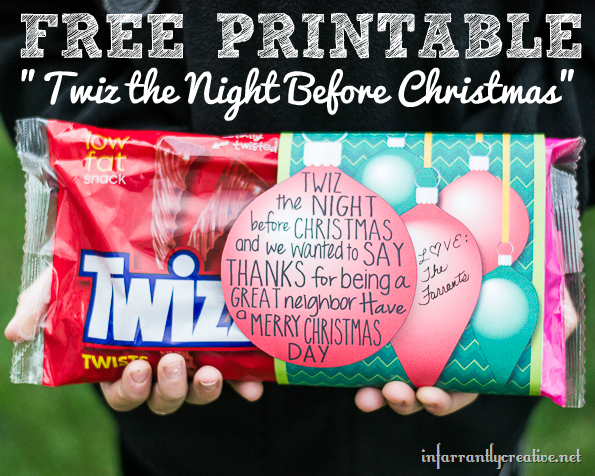 Using your color printer (I am using the wireless Canon PIXMA MG7120) and finding a cute way to package a treat is a fun way to show someone you are thinking about them for Christmas. Today’s idea gives a bag of Twizzlers (under $3) but packs a punch with the cute little printable to up the cuteness factor.